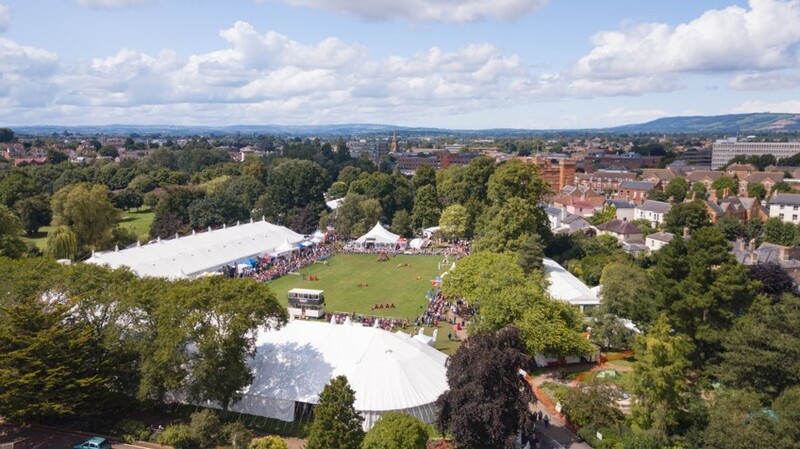 Taunton Flower Show is held in Vivary Park, Taunton, and has been a regular feature of Taunton's summer since 1831. The Show continues to grow and develop, and is increasing in popularity attracting people from all corners of the UK, so much so that the media rather grandly dubbed it ‘The Chelsea of the West’ a few years ago. The centrepiece of the Show are the large competitive classes and floral classes marquees. Around the marquees are a wide range of horticultural and non-horticultural traders. The heart of the Showground is an arena where events such as marching bands, dog displays, dramatic motorbike events etc take place. We have professional designers who build show-gardens, and also a garden design competition, ‘Ready Steady GARDEN!’ for budding enthusiasts. The show also features other smaller marquees – such as the Bees and Honey Show, Craft and Food Tents, and a Wine Show. There is a Children's Village where our younger visitors can be entertained, and various other attractions including demonstrations and talks, 2 music stages, one of which is in the increasingly popular Festival Village. Past Sponsors have included accountants, engineering companies, retirement villages, supermarket chains, department stores, garden centres, and many more. Air Time on our Showground Commentary system - talking to 17,000+ visitors, plus volunteers, staff and traders. Opportunity for your branding and/or staff to appear in our Facebook videos and image. Company information or editorial included in Membership mailings. Sent to 1500 members. So please get in touch for your tailored package.